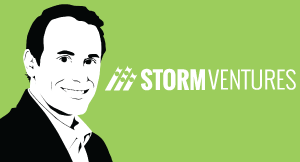 In Jason Lemkin’s experience, many SaaS startup founders have little experience with enterprise sales. He gives two recommendations on how to find and reach the buyers in the enterprise. The majority of SaaS start-ups, the founders have not done enterprise sales, and basically you have two options and you’re going to do both; it's not binary. One, try and connect with folks on as many levels of the org chart that you can. What’s natural if you haven’t done it before is to talk to a line manager. Someone that might implement your product, right. But reach out to a CXO, we’re on CXO-Talk you may be surprised. And the enterprise, a lot of innovation is driven from the CIO talk or some of the CXO talks and they will taint meetings with startups if it can have a profound impact on the company. So my number one bit of advice is challenge challenge yourself and don’t just sell at the level of the organisation that is comfortable for you. Try at every level, from line manager to Director, to VP from c-level and see at least if you can get a meeting at each, because if you can get a meeting. Just getting a meetings hard man, a 1000 SaaS products out there, like no one takes a meeting. If you just get a meeting you can sell something if you are tenacious. So then do that and then do your best and then figure out over 12 months what organically works, and then hire a VP of sales that has experience selling to the fattest part of your existing customer ecosystems, to the portion that generates the most revenue. Advice to founders: If you get a lead, take the meeting. If you’re a tiny or small startup, don’t worry about it. It’s easy to build a relationship with a customer.